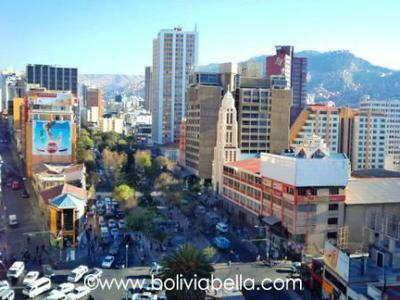 #1 La Paz is called the highest capital city in the world at almost 12,000 feet above sea level, although the original capital of Bolivia is actually Sucre. #2 Not only that, we also have the worlds LARGEST butterfly sanctuary housing hundreds of different butterflies, including the monarch butterfly. #3 This one is also one of the big greats of the world but not in a happy way. We have the most dangerous road in the world. "The Road of Death." #4 In the Andes mountains some people live up 13,000 ft in the air. That's how high some planes fly. In fact, clouds go through living rooms sometimes. #5 The Salar the Uyuni, more commonly referred to as "The Salt Desert", is the biggest salt deposit in the word. #6 Lake Titicaca which I talked about in one of my last blogs, is also the highest and deepest navigable lake in the world. Man we sure know how to make pick a country. We have some of the biggest, highest, most dangerous or fascinating things in the world. So here's today's question, the butterfly sanctuary has lots of butterflies, right? How many types of butterflies do you think there are in that butterfly sanctuary? It's called Mariposario Guembé. I'll give a shout out to the first person who finds out and lets us know in the comments below! 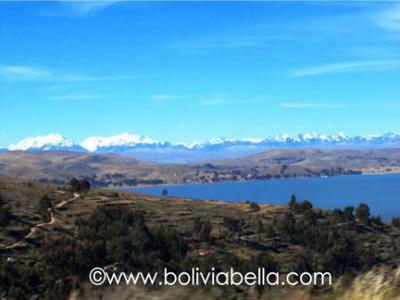 Comments for 2-17-2015 Six Fascinating Facts About Bolivia That Will Impress Your Friends! Guys check out Six Fascinating Facts About Bolivia That Will Impress Your Friends and share your own experience about that. Providing [spam/affiliate link removed] online is not a simple job, you need some experience and education to handle this. Webmaster Notice: We have reported you to each one of the sites you are promoting through SPAM affiliate links, having sent letters to each of them one by one along with screenshots of your fake messages and affiliate links. Discontinue or you will be shut down and your will lose your affiliate status as well. You are under investigation by your affiliate channels and the companies. We are prepared take legal action against you and ANY SITE YOUR PROMOTE OR LINK TO if you continue spamming our website. Consider yourself warned. Brian is correct! There are more than 60 species of butterflies there! The Salar de Uyuni is also the world's largest lithium reserve, with anywhere between 50-80% of the world's lithium, which is used in medicines and to make batteries. I will guess you have 100 species of butterflies. más de 50 especies de mariposas!